Yes, we confess! While we have been trying to cater to general fitness fanatics with our choice of best rowing machines, bicycle trainers, sport watches and surfing gadgets, we forgot about one special category of athletes that are our modern day Gladiators. We are talking about martial arts devotees. 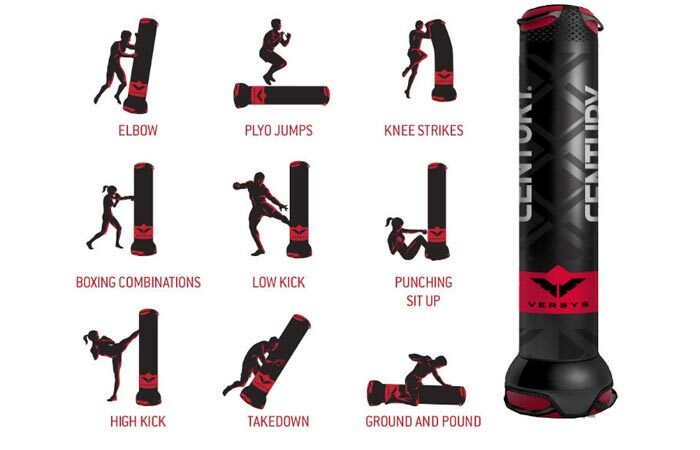 So, all you MMA fighters, kickboxers, karate masters (and beginners) and fitness fanatics pay attention to this incredible product – it is Versys VS.1 fight simulator developed by the R&D team at Century LLC which has been devising martial arts products since 1976. Today, the company is known as the largest supplier of martial arts products in the world. 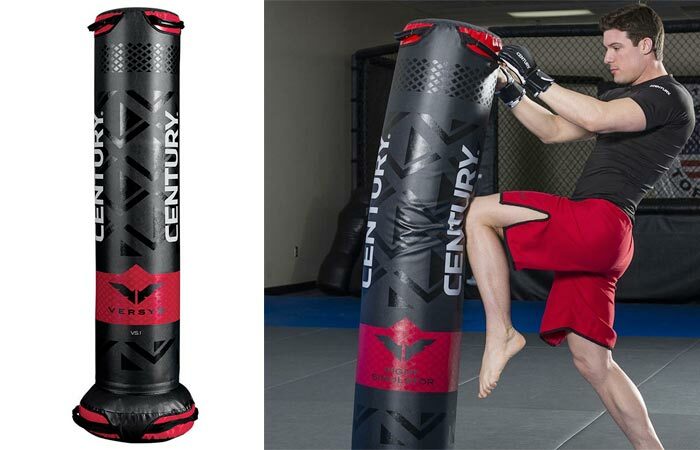 Century claims that Versys VS.1 “will inspire a completely new fitness experience” since this is the most versatile fight simulator currently available on the market. It is suited for a wide range of training sessions – from aerobic conditioning and endurance to speed and technique training. The simulator has been tested by the best of the best in the combat sports industry – coaches, trainers and instructors. The versatility of Versys VS.1 is ensured through a wide range of combination strikes. This is a multidisciplinary combat training simulator that can be used for boxing, kickboxing, martial arts and mixed martial arts. One of the many benefits that Versys VS.1 has is that engages the user’s entire body while simulating aerobic conditioning and enhancing fat burning. Verys VS.1 requires no hanging devices or accessories and no assembly. Also, it has a pre-filled base so you don’t need to fill it with water or sand, unlike other flight simulators on the market.